This article will describe how to create a reseller account on Parallels Plesk Panel. Here we are creating a reseller account in Plesk panel version 12 (Plesk 12.0.18) which is on dedicated version of CentOs 6 Server . When you are selecting a reseller account , it consist your profile information and it will linked your subscription like package of hosting resources that you lease for reselling and use for your own needs. 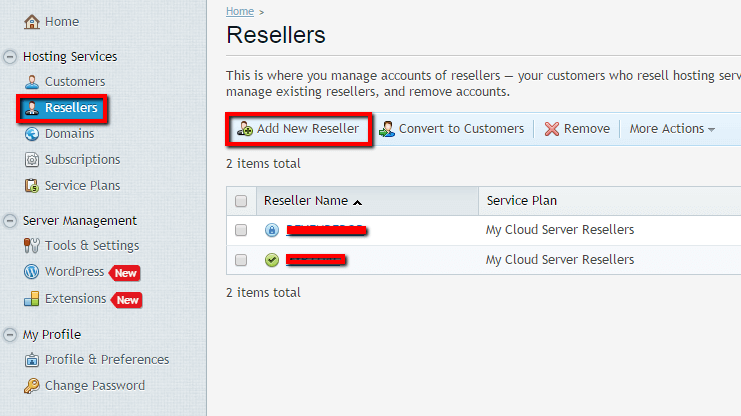 Here are the steps for creating reseller account. (1) Login in to Parallel Plesk Panel on your server. (2) On the left hand panel there will be Resellers button under Hosting Services.Click on Reseller button under the Hosting services and you will see Resellers tab . Under the Resellers tab there will be Add New Resller tab button , Click on it and follow next steps . 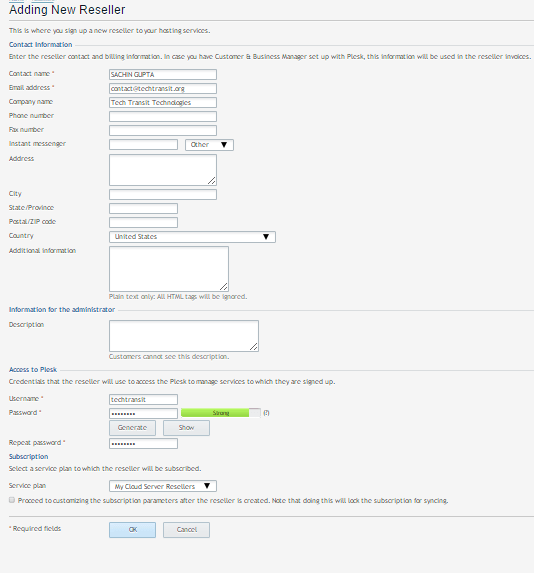 (3) In the third step you need to submit information regarding reseller account , fill the contact information , username and password of reseller user account and service plan the reseller will use and click OK. ( if you select option to customize your subscription tab , you will need to submit more information related to resources allocation parameters and permissions. 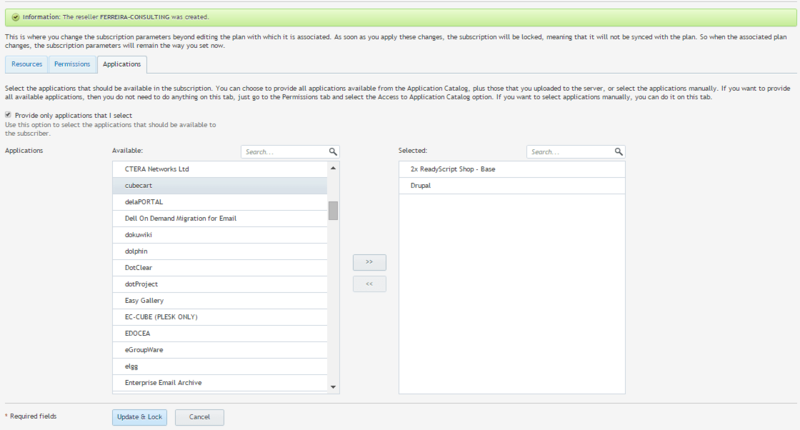 Please look fourth point to choose customize your subscription tab ) . (4) If you check the option of customize your subscription , you need to set resources provided with the subscription and define the policy on the resources usage like Overuse policy , Overselling policy,disk space, traffic, domains mailbox settings etc… you can edit setting to the reseller account after update settings. Refer below snap shots for customization .